What restricts MOOCs’ acceptance despite having credits? It is just a matter of time. India has been used to the traditional way of education. However, the fact that India is the second biggest learner base for edX, after the United States, speaks volumes about the kind of recognition MOOCs are receiving in India. Employers are now giving importance to MOOCs, but it will take some time before being accepted as a standalone degree for employment in India. Can it replace classroom learning in future? MOOCs will not replace universities, but rather enhance the quality of education by incorporating blended learning. In future, education will be either blended or fully online. Pure face-to-face education will exist only in history books. In blended classrooms, the on-campus university course can leverage the power of MOOCs to free up classroom time for interactive collaboration and discussion, testing and problem-solving. This model creates better efficiencies in the classroom and can foster a better quality of education overall for the money. And, the blended model exists beyond the university. We recently partnered with NIIT to redefine the online education space in India using a blended format. Under this partnership, the live synchronous delivery capability and on-ground student servicing capability of NIIT will be combined with the world class MOOCs provided by edX and its university partners to offer futuristic talent development programmes to learners in India. What are EdX’s offerings and plans for India? India has always been a priority market for edX. Along with offerings from tier 1 global institutes, edX also has strong partnerships with Indian institutions like IIT Bombay, IIM Bangalore, and BITS Pilani, and blended learning partners like NIIT and Pearson to impart job-ready skills to learners. As a response to the growing acceptance of MOOCs among Indian corporates, in the last year, edX made significant corporate and strategic advancements in the country. Chief among them include the launch of edX for business site in December 2016. 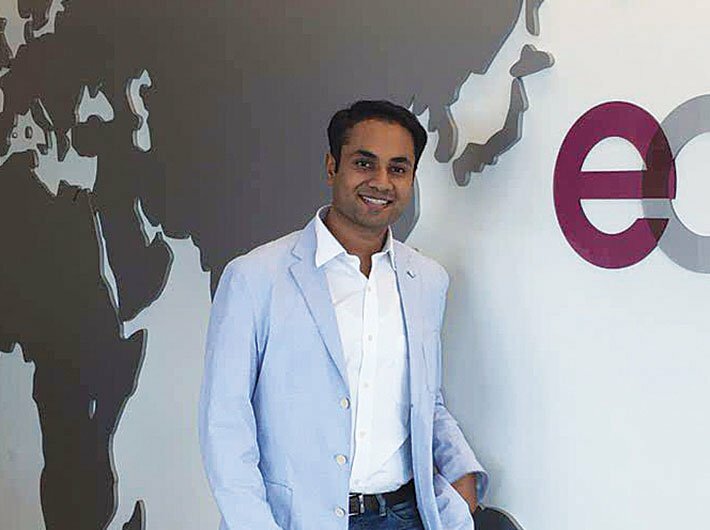 EdX for business provides corporate L&D solutions for the evolving workforce, offering access to thousands of in-demand courses from the world’s best universities and leading institutions by creating a flexible and convenient way to empower employees to gain deep knowledge in highly relevant fields like IT, business management, data analytics and more. As a further step to help learners advance or launch their careers via online credentials, edX launched MicroMasters programmes, a new category of masters level online education to bridge the knowledge gap between higher education and the workplace. Offered in subjects ranging from artificial intelligence (from ColumbiaX) to cyber security (from RITx), business management (from IIMBx) and supply chain management (from MITx), MicroMasters courses are created by esteemed edX university partners, valued by top companies and linked to specific career outcomes.